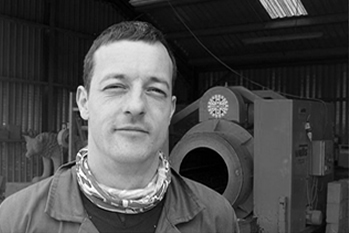 Marcus oversees all day to day aspects of running the company, provides support to all area managers/foremen in walling, masonry and sawing production and in particular oversees all quarrying movements and quarrying production. 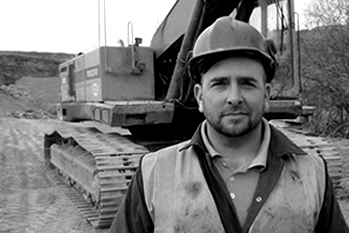 Trained in Management, First Aid, Various Plant Operation, Quarry Specifics and Geotechnical. 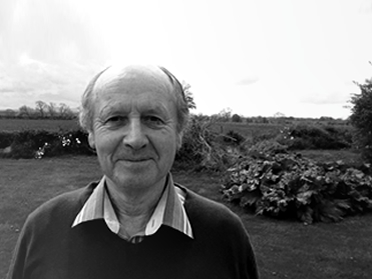 A Purbeck Limestone quarry owner from 1963 to 1987. Selling up to move to the Scottish Borders with the purchase of West Fishwick Farm. Amie is the woman who is most likely to answer the phone, and direct you to the help you are looking for. She produces all the invoices, keeps the accounts on track and keeps all things office nice and neat. She is also our social media expert, getting all of our good work out there for the world to see! 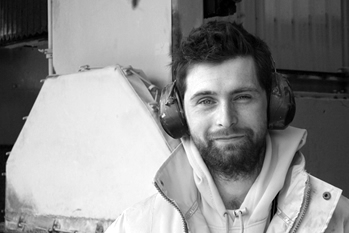 Ian was the 4th person to be taken on by the Company and has helped grow the company right from the start. He oversees the all masonry production, and coordinated deliveries. Trained in all aspects of Banker and Fixing masonry in London and Northumberland by English Heritage and also Management & Health & Safety by ourselves. Mark oversees all sawing production form the office. Often seen with a clipboard, tape measure and marking out crayon in his hand, a truly skilled man at getting the best from every stone. 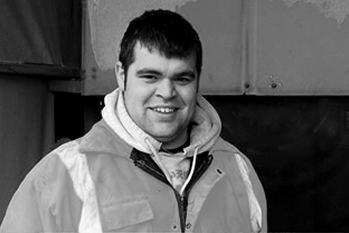 He is trained in operating all the saws and forklifts from 3 to 15 tonnes and has management training too. 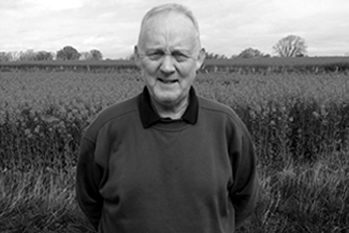 Graeme has nearly 40 years’ experience as a building contractor, given this he is an absolute god send to the company and estimating department. He provides the organised approach we need to get accepted jobs form quotation to production. No technical query will phase this man! 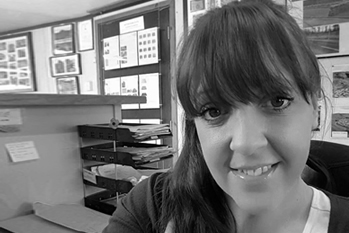 Hayley does all the PAYE, VAT, and Accounts stuff, organises all the cheque and electronic payments to our suppliers and produces all the management accounts for Marcus. 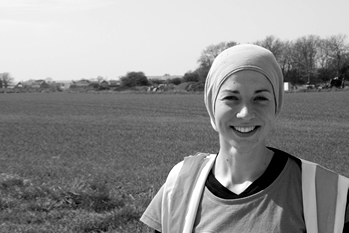 You may think that someone who loves bookwork so much might be a bit boring, but no, Hayley is also our resident expert on motorcycle Enduro riding & touring car competitions. 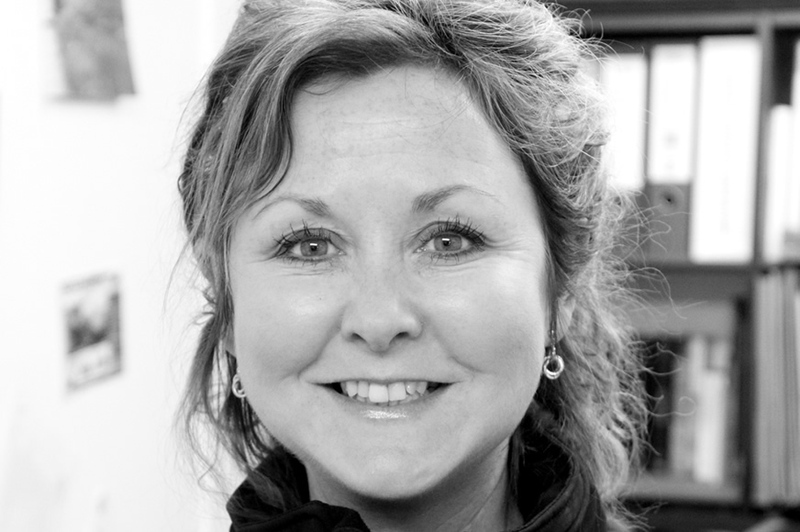 Lesley handles various admin duties for us as well as dealing with the advertising side of the company. She is also our resident expert on healthy living and what vitamins we should be taking as well as being our resident thespian! In her previous career as an actor she featured in numerous Plays and TV shows. Michael runs the banker shop which is where all the dressing gets done. He is an extremely conscientious foreman who insists on very high quality from the banker staff and this rubs off on everyone making them a really special team. 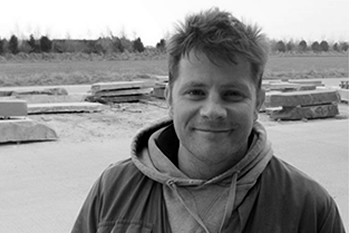 Michael produces most of the templates and quality controls the masonry produced. 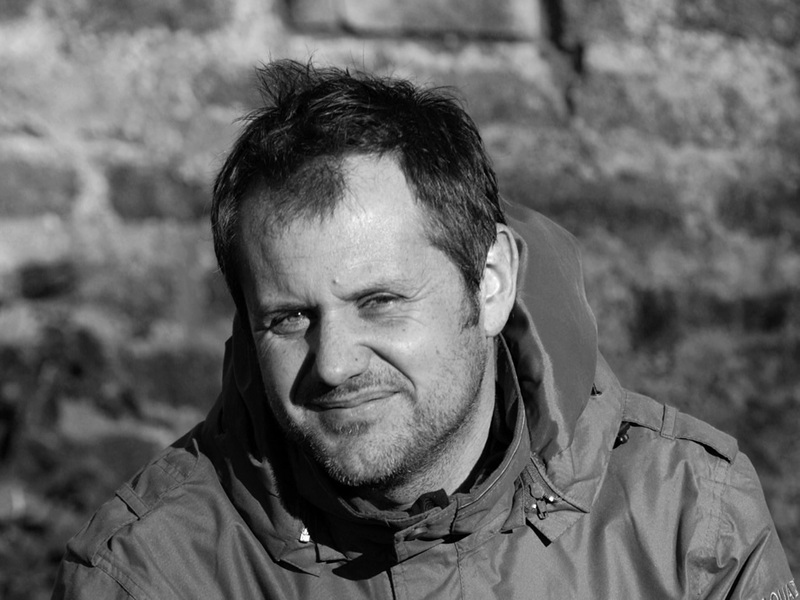 Nick was apprenticed by us and trained at Edinburgh’s Telford College. He has become an excellent mason and is both quick and accurate with a natural ability to produce quality the way we like it. He relishes the trickiest masonry components and polishes them off in an unflappable manor. Stewart is another of our home grown banker masons. Again he is quick and accurate without losing quality, and he is also a dab hand on our milling and routing machine. He is developing core skills in carving and lettering and shows promise in these areas too. 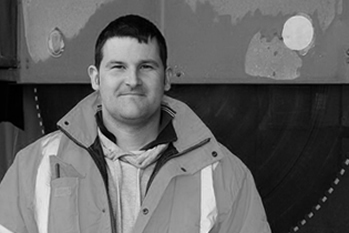 Mark is another of our Telford trained banker masons and was the second person taken on by Marcus in the early days of the company. Mark has worked many years for us as a Banker Mason and then after a 4 year period working for himself as a builder Mark chose to come back to us which we were very happy about! 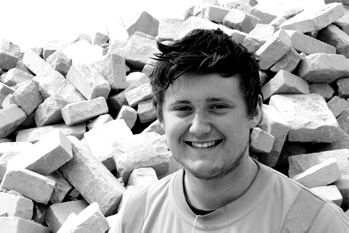 Alex is our apprentice mason, and a very successful one at that! 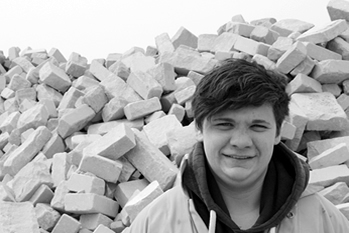 He recently received an award for best first year apprentice from his college, and at that progression rate we expect him to be a great asset to already skilled masonry team. 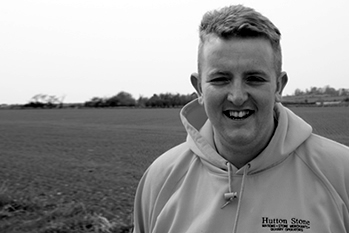 Sean runs the walling production, from pricing to quality control, another Hutton Stone man through and through, he is trained in various Plant operation, Quarry Safety and Geotechnical. 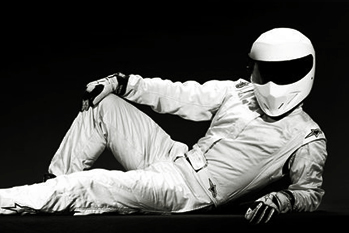 Sean rode Speedway for 20 years and is therefore the most fearless type of human you can get. Neil is an extreme tidier! Everything he moves or loads is tidy! 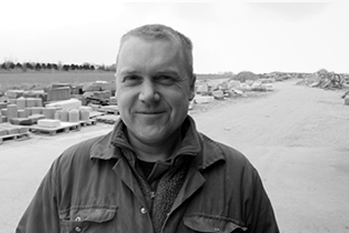 He ensures Sean’s walling team are kept in raw material to produce walling and loads pretty much every tipper and flatbed wagon that leaves our yard, combining skilled machine operating with great handling of the paper work is Neil’s forte! 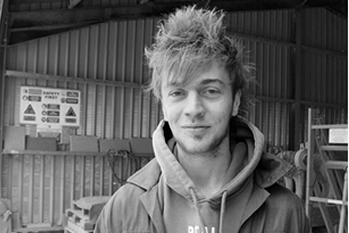 Josh joined the company in 2014 and has quickly become an essential member of the squad, with not only his attention to detail, but his additional responsibilities including maintaining the machinery and keeping the maintenance records up to date… oh and being our local rock star! 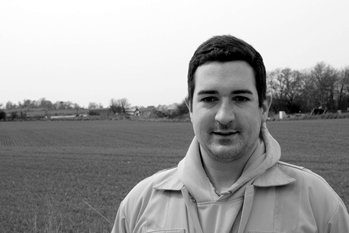 Daniel joined us as part of a scheme to help young people into work. 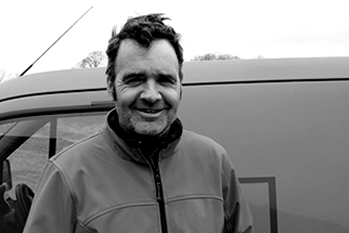 He is an awesome producer of walling stone and is our resident expert on making your hair stick up really high and making any standard family car look like a competition rally car. Liam is one of the latest members of walling team, and is learning his trade well under the guidance of some extremely experienced mentors, if he is as quick at producing walling as he is on the rugby pitch we might not know what to do with it all! Phil operates one of our profiling secondary saws. That means he takes slab from the primary saws and saws it into the finished sizes. He is super quick and accurate with everything he does and wears yard brushes out weekly, seriously he sweeps everything all the time and actually wears brushes out! Steve Ritchie the very first employee of the company, taken on by Marcus one year after starting. 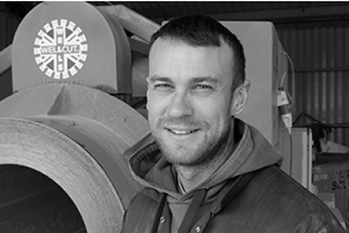 Trained originally as a mason at Telford College, he then working for years producing excellent walling, and is now sawing on our CNC saw. He is also trained on various forklifts and in First Aid. 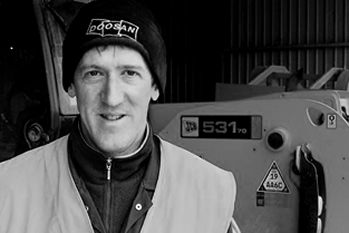 Sean was originally taken on to assist in general yard operations, however soon proved his mettle and has since moved to secondary saw production, another quiet member of staff that does the job with calm, concentrated, efficiency - exactly what you need working on a secondary saw! “Sconny” is another man who trained originally as a walling mason but went on to take a position on the saws when one arose. John takes the raw block and slabs it up in one of our primary saws. 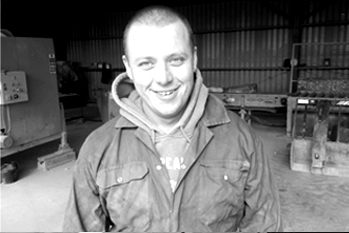 As well as being trained on saws he is trained on the milling and routing machinery and Forklifts from 3 to 15 tonnes. Some people you just know were meant to work with stone. 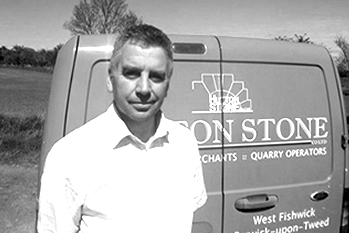 Mark spends his time at Hutton Stone on the 2m saw, where you can often hearing him singing like an… angel? spreading his joy and happiness throughout the workforce, having a positive mental attitude is Marks strength! Mark takes the final sawn product, undertakes the final quality checks, polishes the stone, and packs everything soundly ready for delivery. Due to our continuing growth this has become a department in its own right, and Mark is heading it up nicely! 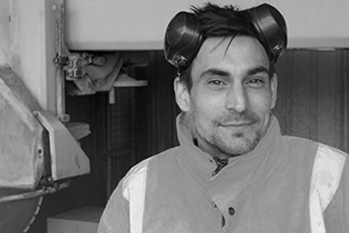 Kev was the 5th employee taken on in the company, Kev spent two years initially in Swinton Quarry and has been Quarry Foreman ever since. Always the man for a challenge Kev digs stone like it is his natural talent. Trained in Excavator, drill Rig, 180 slew, Forklift, Quarry Safety, Geotechnical, and first aid. 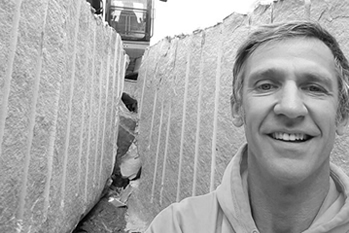 Martin 'Bratch' has over 25 years’ experience in quarrying, and is also a fountain of knowledge on all building work. He is trained in Excavator, drill Rig, 180 slew, Forklift, Quarry Safety, Geotechnical, tractor/dumper operation, and first aid Bratch is again simply an excellent dimension stone quarryman. 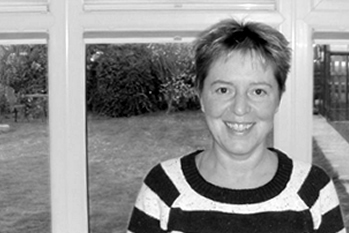 A friend of the company since its beginnings Michelle became our Artist in Residence and chief carver in 2005. Michelle is quite simply a superbly talented artist and we are honoured to have her with us and happy to provide a platform for her work. 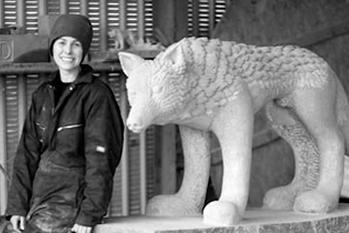 Jo trained at Weymouth College in Applied Architectural Stone Carving and Conservation, after a period of working in the Conservation sector she came to us to train with Michelle thanks to funding from Historic Scotland and the Heritage Lottery Fund. We look forward to a bright future with the carving dream team! Ross joined us when our previous long term driver Walter retired and has many years of experience at all levels of HGV work. 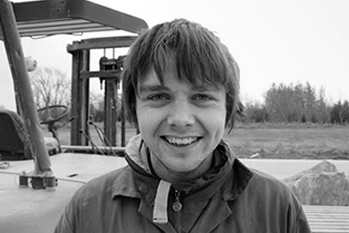 Trained in HGV operation, Remote Control Crane Operation/ safe lifting and Driver Refresher Training Ross is also our resident expert on virtually everything that nobody else knows!